"I'M AFRAID Putin will kill me," Boris Nemtsov told a Russian website on February 10. He was dead before the month was out. The charismatic opposition leader, a former deputy prime minister under Boris Yeltsin, was assassinated in the heart of Moscow on Friday night as he walked over a bridge near Red Square, only yards from the Kremlin walls. The killing, it seems clear, was a professional hit. Nemtsov was shot four times in the back by gunmen who escaped in a precisely timed getaway car, the murder unrecorded by nearby security cameras, which were mysteriously turned off — all in a section of the Russian capital that normally teems with security personnel and surveillance. 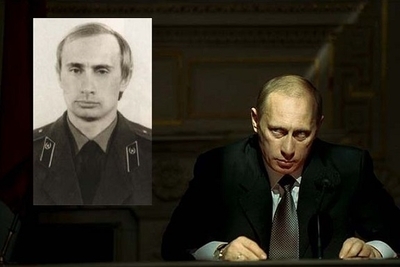 Putin is a coldly corrupt, KGB-trained totalitarian, not someone with whom the West — as Margaret Thatcher said of Mikhail Gorbachev — "can do business." It was a calculatedly shocking crime, the highest-profile assassination since the Stalin era, and Vladimir Putin's propaganda machine immediately moved to exploit it. The Russian ruler said he would personally oversee the inquiry into Nemtsov's killing, which his press aide described as a "provocation" intended to make the government look bad. With almost unfathomable cynicism, government investigators speculated that one of Russia's best-known liberal democrats might have been martyred by his own allies in a bid for sympathy. "Nemtsov could have been a kind of sacrifice for those who stop at nothing to attain their political ends," spokesman Vladimir Markin suggested. Meanwhile, Pravda — a Putin mouthpiece — published a column labeling the murder "a CIA-staged false flag" and "Washington's latest attempt to destabilize Russia." Michael McFaul, the former US ambassador to Russia, noted on Twitter that he was being flooded with thousands of messages parroting the "USA killed Nemtsov" line. In the Russia that Putin has built, such brazen Big Lies are pervasive, relentlessly promoted by a regime that manipulates the media and the law to destroy its critics and strangle democratic opposition. Putin's time in power have seen the elimination of a jaw-dropping array of inconvenient individuals: Courageous journalists like Anna Politkovskaya, Anastasia Baburova, Ivan Safronov, and Paul Klebnikov. Human-rights defenders, such as historian Natalia Estemirova and lawyer Stanislav Markelov. High-placed whistleblowers, including one-time Russian intelligence officer Alexander Litvinenko and accountant Sergei Magnitsky. They are only a few of so many Putin foes who met untimely deaths. Other opponents have been neutralized in other ways, from long prison terms on trumped-up convictions to forced exile. Did Putin order the latest assassination? As Garry Kasparov, the former world chess champion and longtime Nemtsov friend, noted over the weekend, whether or not Putin issued a directive is beside the point. The Russian strongman "is directly responsible for creating the conditions in which these outrages occur with such terrible frequency." What Putin's propagandists and proxies have done in Ukraine, Chechnya, and Georgia — inciting hatred and violence against far weaker opponents, demonizing all critics as traitors, fifth columnists, and enemies of Russia — they do at home to liberal dissidents and democratic reformers. In such a culture of fear, there is little point asking who gave the order to kill. Ask rather whose killing will be ordered next. And ask an even more pressing question: When will American policymakers stop treating Putin's regime as anything but the gangster state that it is? For those with eyes to see, there has never been any mystery about Putin's ways and means. He is coldly corrupt and vicious, a KGB-trained totalitarian who still resents the collapse of the Soviet Union, which he has called "the greatest geopolitical catastrophe of the [20th] century." Unlike Mikhail Gorbachev, Putin is not a Russian leader with whom the West "can do business." He is a brute, one who scruples at nothing in his pursuit of power, wealth, and the breaking of his opponents. Yet US leaders have consistently denied the obvious. George W. Bush famously looked Putin in the eye, got "a sense of his soul" and concluded that the former KGB colonel was "very straightforward and trustworthy." Barack Obama sought to "reset" relations with Moscow in his first term, and promised even more "flexibility" in his second. Putin took their measure, and acted accordingly: crushing Chechnya, occupying Georgia, annexing Crimea, running interference for Syria and Iran — all while eviscerating Russia's democratic opposition, plundering its wealth, and periodically reminding anyone who might forget that those who get in his way are apt to die young. Washington can best give meaning to Nemtsov's death by emulating the resolve and courage he embodied in life. Condolences won't slow Putin's aggression. Backbone is a different story.